In Germany, Vermilion’s operations are focused on the exploration, development and production of conventional natural gas. We believe that natural gas is a key component of Germany’s energy mix and the Energiewende. 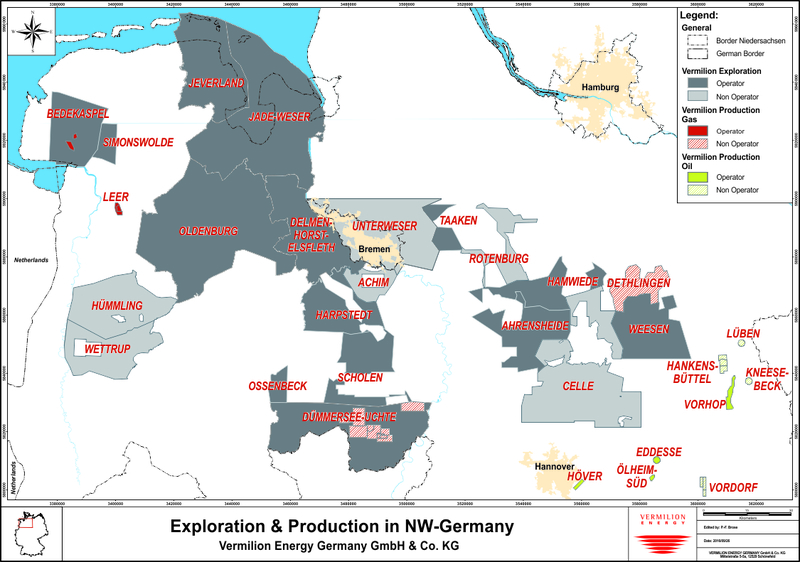 We hold a 25% non-operated interest in four producing gas fields that are in the Dümmersee-Uchte area, West of Hannover and we are actively assessing opportunities on the 345,000 undeveloped net hectares (850,000 net acres) of land that we hold in northwest Germany.